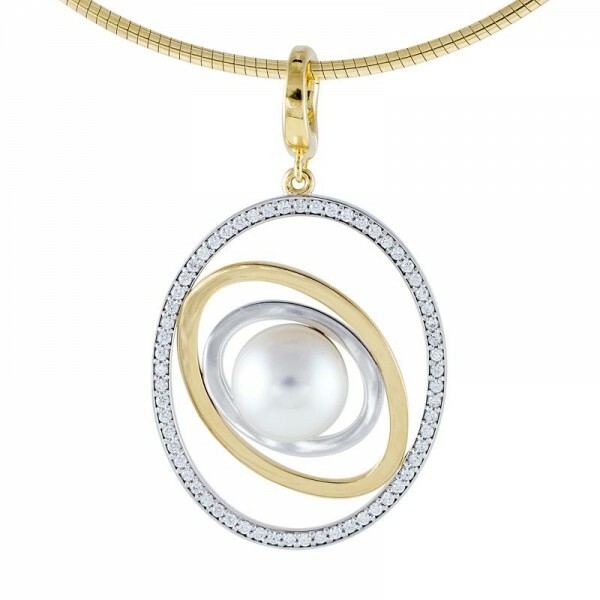 A stunning open frame pendant design featuring three offset cosmic rings, alternating from white to yellow gold. 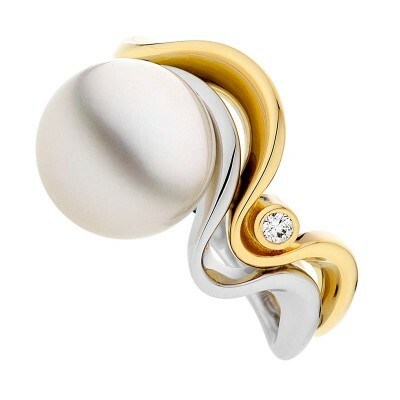 The outer ring glistens with bead set white diamonds and a perfectly rare round South Sea pearl sits prominently in the centre. The Saturn pendant has added versatility in the form of an enhancer bail, which allows it to be worn on a large variety of necklaces.